Do not exceed 1 serving per day. Before ingesting this product you should consult your doctor if you are not aware of your current health status or if you have any medical condition including, but not limited to: diabetes, high or low blood pressure, cardiac arrhythmias, stroke; diseases of the heart, kidneys, liver or thyroid gland; anxiety, history of seizures, depression, any psychiatric ailment, pernicious anemia or other blood disorders, prostate enlargement. This product is intended for adults 18-50 years of age only. Do not take this product if you are pregnant or nursing. Do not consume with less than the recommended amount of water or if you are prone to dehydration or are subjected to extremely hot temperatures. Do not take this product without permission from your doctor. Do not take this product with ANY other stimulants or other sources of caffeine. Do not take this product with ANY drugs. KEEP OUT OF THE REACH OF CHILDREN AND PETS. May 01, 2018 White Flash is Controlled Labs’ Best Pre-Workout Yet! 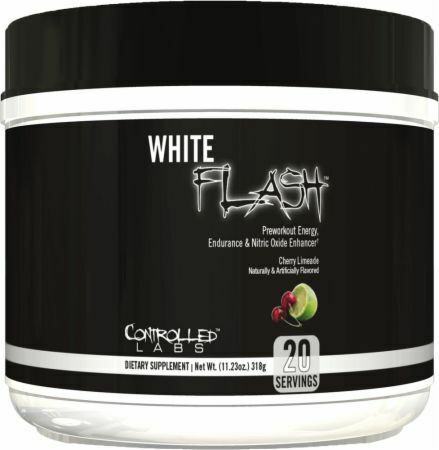 White Flash: Controlled Labs' Best Pre Workout Yet! YES! The White Series gets taken to another level! 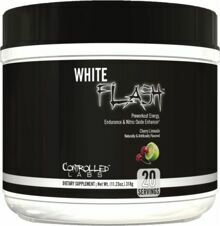 To understand what's up, check out our blog post, White Flash is Controlled Labs' Best Pre-Workout Yet!